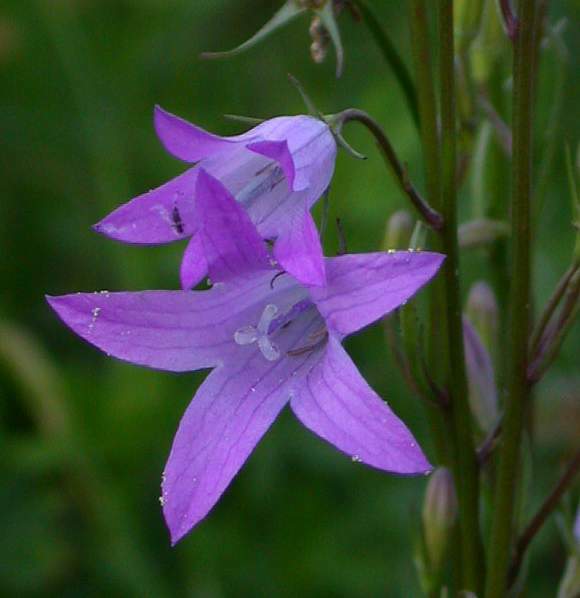 An introduced and naturalised (not native) species which is very scattered over the UK and decreasing. It would have gained at the least an [RR] rating for rarity from Prof. Clive Stace had it been native. 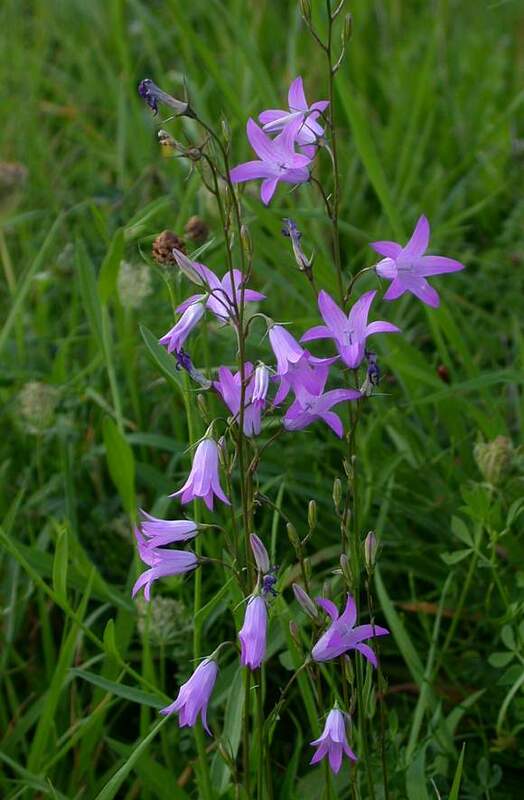 A rather lax-flowered plant on thin stems but growing to 80cm. 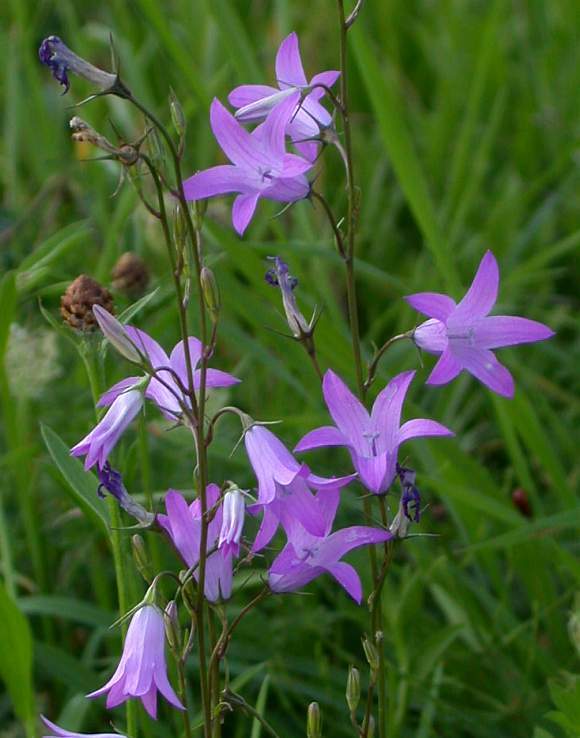 Most books say it is pale blue, but these specimens are pale lilac. 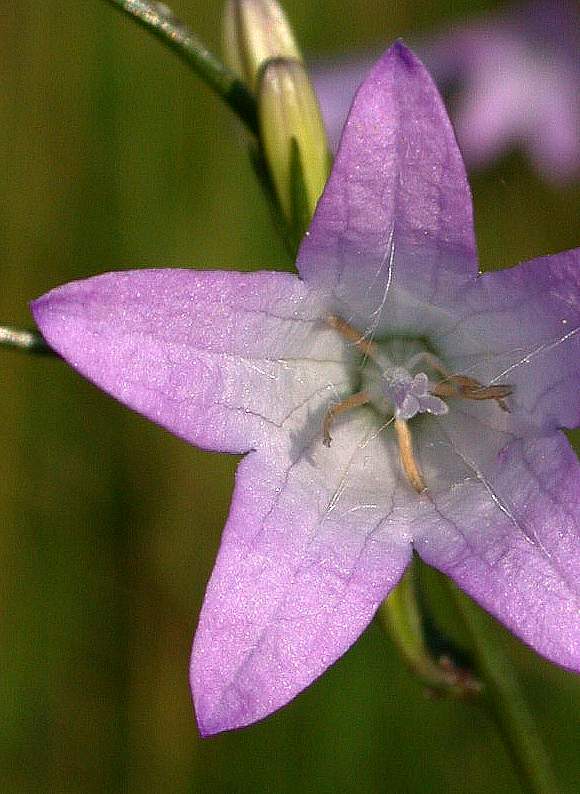 Corolla rather small for a Bellflower at only 10-22mm across. The corolla is lobed just ~1/1 rd of the way to the base. Unopened flower-buds long and narrow. The calyx teeth are long and very narrow. 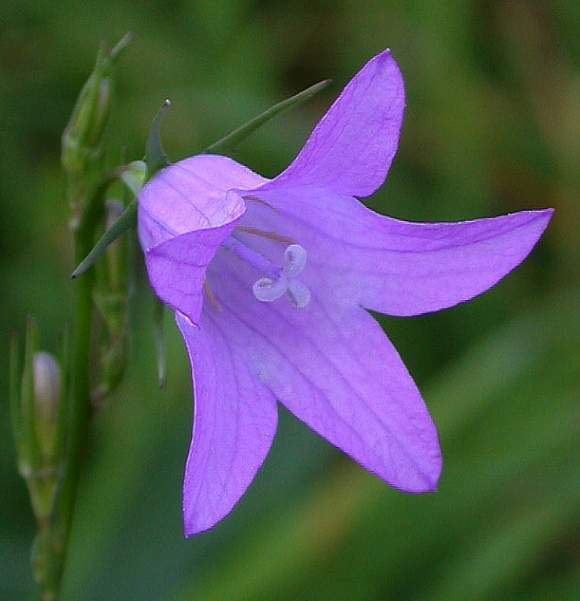 There are no distinguishing features in the style, stigmas or anthers that can be used to differentiate between Bellflower species, Bellflowers are all much the same in those respects. 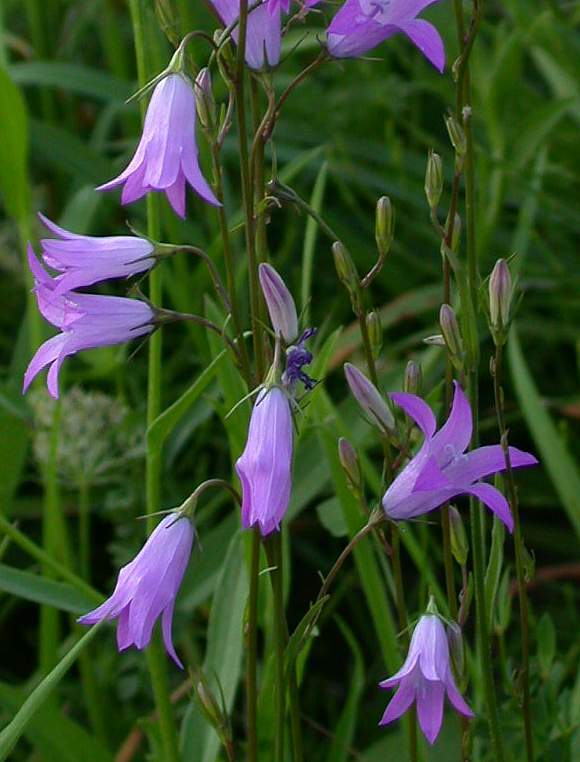 This plant was once grown in cottage gardens for its leaves and turnip-like roots which were eaten as a salad. It is also now only rarely grown as an ornamental. 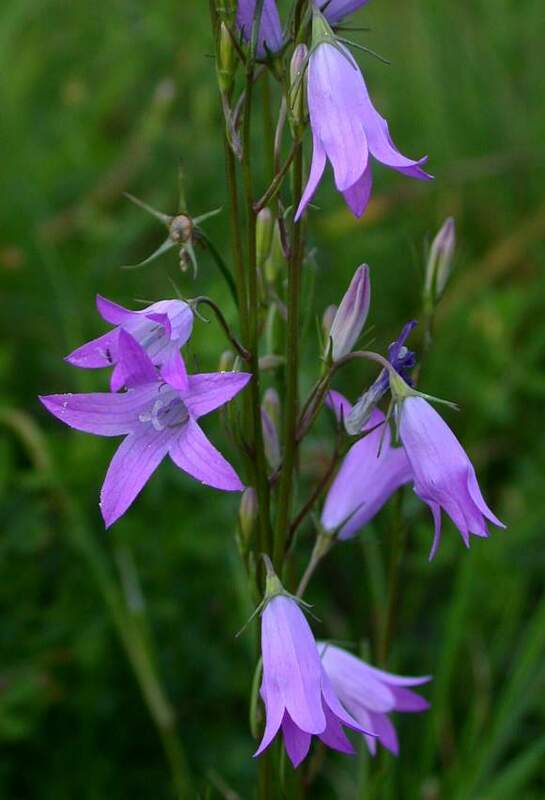 It is rare and decreasing, to be found naturalised in just a scattering of fields, rough grass and banks mainly south of the latitude of the Wash.